This presentation will provide an overview of ADHD. Topics will include examining features of ADHD and its etiology, characterizing the disorder across the lifespan, reviewing diagnostic criteria and best-practice assessment, and summarizing the evidence-based treatments for ADHD. Although the presentation will focus on children and adolescents, key elements of understanding ADHD in adulthood will also be included. Dr. Davis is a licensed clinical psychologist who received her doctorate from the University of Massachusetts Boston and completed her pre-doctoral clinical psychology internship and postdoctoral training at the University of North Carolina at Chapel Hill. Following her training, Dr. Davis worked as a research associate at 3-C Institute for Social Development, where she worked on the development and implementation of social skills training programs. 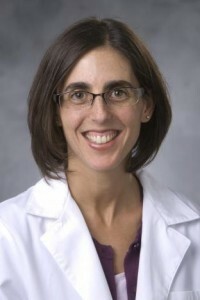 Since joining the faculty at Duke University Medical Center in 2011, Dr. Davis has been a core faculty member in the Duke ADHD Program, a clinical and research program within the Department of Psychiatry at Duke University School of Medicine. She maintains a clinical practice and is actively involved in teaching and training psychology graduate students and interns. Dr. Davis has extensive clinical and research experience conducting ADHD evaluations with individuals from preschool age through adulthood. She is currently leading the Recruitment and Assessment Core for Duke’s Autism Center of Excellence study of ASD and ADHD in young children.